When our guests aren’t fishing or relaxing, we also have horseshoes, basketball hoops, and volleyball, miles of hiking and biking trails, wildlife viewing and countless water sports. A safe place to explore and create lasting memories. bonfires, reading, napping and RELAXING! A spacious, sandy beach attracts swimmers of all ages and includes a diving platform, kayaks, paddleboats, paddleboards, a sailboat and canoes. In order to maintain solitude, we do not allow jet skis. In the heart of the resort campus our playground includes a little cabin playhouse, sandbox and fun play structure to keep young ones safely entertained and easily supervised. The Lodge offers a friendly environment to gather, socialize, and play pool, cards or cribbage, or sit by the fireplace and read or relax. A kitchen is available for larger gatherings. 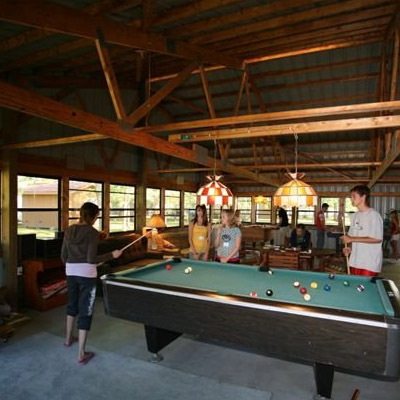 Our Teen Room offers another pool table, games, and an area for socializing and reading. Pack your frisbees and enjoy fun in the forest on our 18 hole disc golf course. Our Blue Ox Room is attached to the Lodge and can accommodate seating for 16 guests. Having a lake wedding means a healthy dose of adventure, serenity and relaxation. We encourage couples to consider booking in the Fall for greater availability of cabins for guests and amazing color backdrops for photography. There are so many locations to choose from on our resort property for both your special ceremony and photo opportunities! 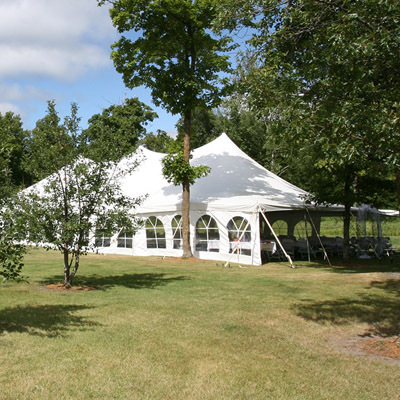 Moose Lake Resort has hosted a variety of retreats over the years and provides the Paul Bunyan Conference Room with wireless service, white boards and projection screen for those important planning meetings. Moose Lake is a unique place where generations of families can create livelong memories.